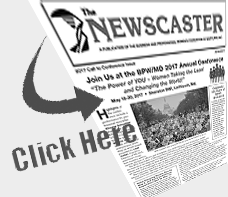 Download the Spring Issue of The Newscaster for full Conference details. The Maryland Federation of Business and Professional Women (BPW/MD), founded in 1929, is affiliated with BPW Foundation and with BPW local organizations throughout the State. The Maryland Federation is a not-for profit, non-partisan, non-sectarian, self-governing and member supported organization. Our membership is diverse with administrators, teachers, business owners, secretaries, and many other professions. Our members are women and men of every age, race, religion, political party and socio-economic background. ...read more.